All Claflin family members are welcome to attend the 164th annual reunion at the First Congregational Church of Shrewsbury in Shrewsbury, MA. 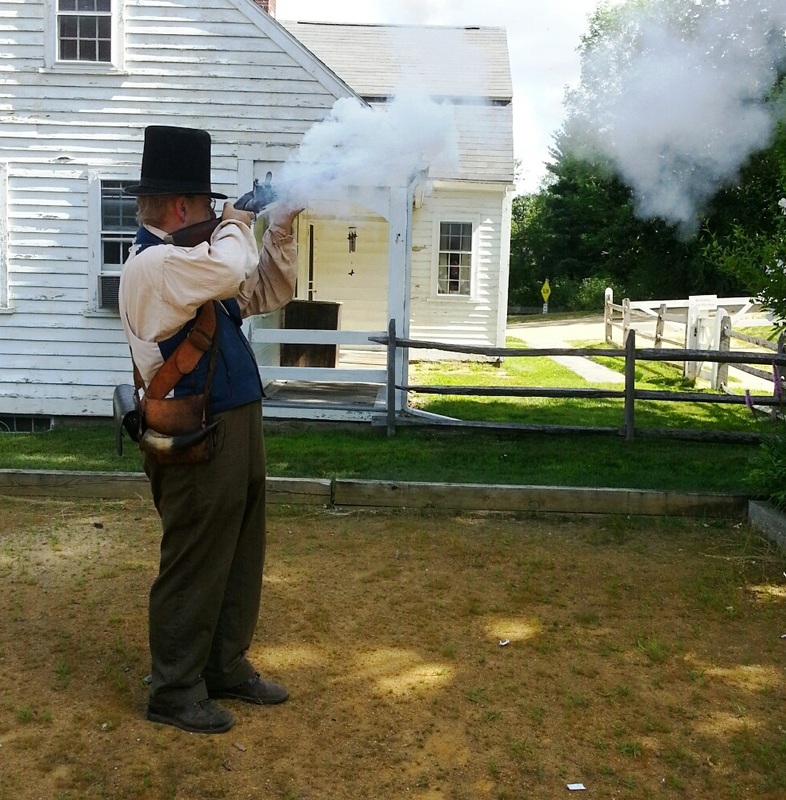 This year shares the story of Claflin Civil War service. 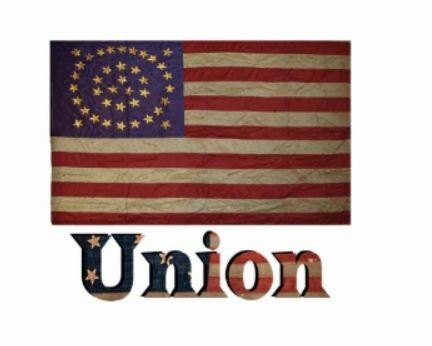 Schedule: Coffee and Conversation at 9:00 a.m.
Business meeting, election of officers at 10:00 a.m.
“One Man’s Civil War” narration and songs presented by Judy Cook at 1:00 p.m. Judy’s great-great-grandfather, Gilbert Claflin wrote letters about his service in the Union Army and Judy shares both the actual correspondence and renditions of stories and songs popular during the 1860′s. 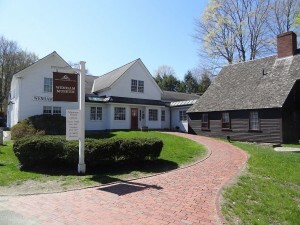 Tours of the Shrewsbury Historical Society available. 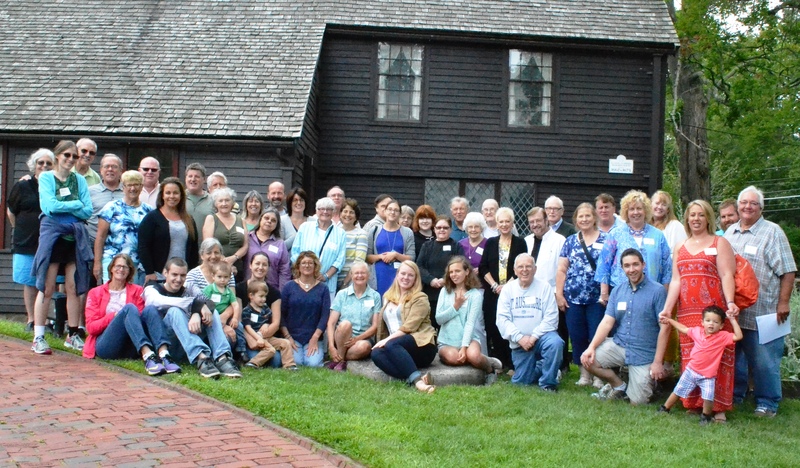 Claflins from as far away as Texas and California gathered to discuss ancestry and to visit the Wenham Historical Association and the Claflin-Richards House on July 29, 2017. Family members were treated to music and a primer on the bagpipes by Stephen Thomford from the North Shore Pipe Band of Massachusetts. 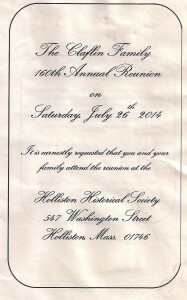 A catered lunch was provided to all attendees and plans are underway for the 164th reunion on July 28, 2018. Mark your calendars now! 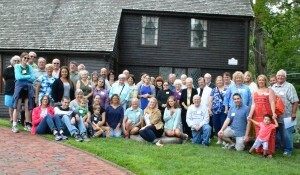 Join your extended family at the Wenham Museum featuring the Claflin-Richards House on July 29, 2017. Coffee and Conversation starts at 9:00 a.m. and then at 10:00 a.m. the Claflin Family Association’s business meeting will begin. Elections and by-law amendments are on the agenda, so please attend. 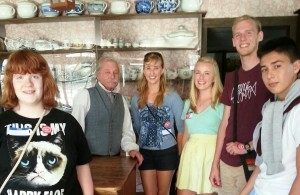 Lunch will be served at noon and tours of the homestead will be available. The Wenham Historical Association is located at 132 Main Street, Wenham, MA 01984. A fun exhibit, “Shake, Rattle & Roll!,” is all about mechanical toys and how they work! Explore one of the most fun collections at the museum and you’ll find toys that walk, spin, bounce, and move in all sorts of unexpected ways. Bring the family for a great day with your Claflin cousins. Invitations were sent to our mailing list. Did not receive one? Email Claflinfamilyassociation@gmail.com for more info. 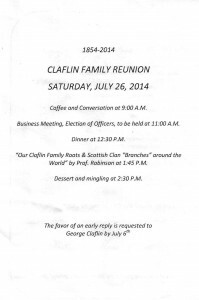 Hope you are planning to attend the 162nd Claflin Family Reunion in Warwick, RI. Invitations were sent last month and we are ready for a great day near the beautiful beaches of Rhode Island. We have a wonderful location, the Old Buttonwoods Casino (see previous post) . For more details, email claflinfamilyassociation@gmail.com. See you there! Claflin family members and friends! Plan on a day at the beach for our 2016 Reunion in Warwick, Rhode Island. We will gather at the Buttonwoods beach community center. The center is surrounded by tennis courts, a playground and playing fields for badminton, horseshoes and croquet. A nature walk beckons nearby. 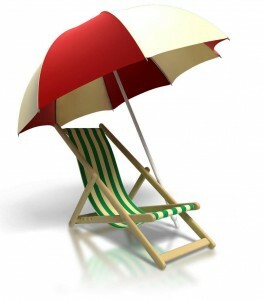 Claflin family members who live in this area invite us to go to the beach after our lunch and social time. More details will be posted soon. 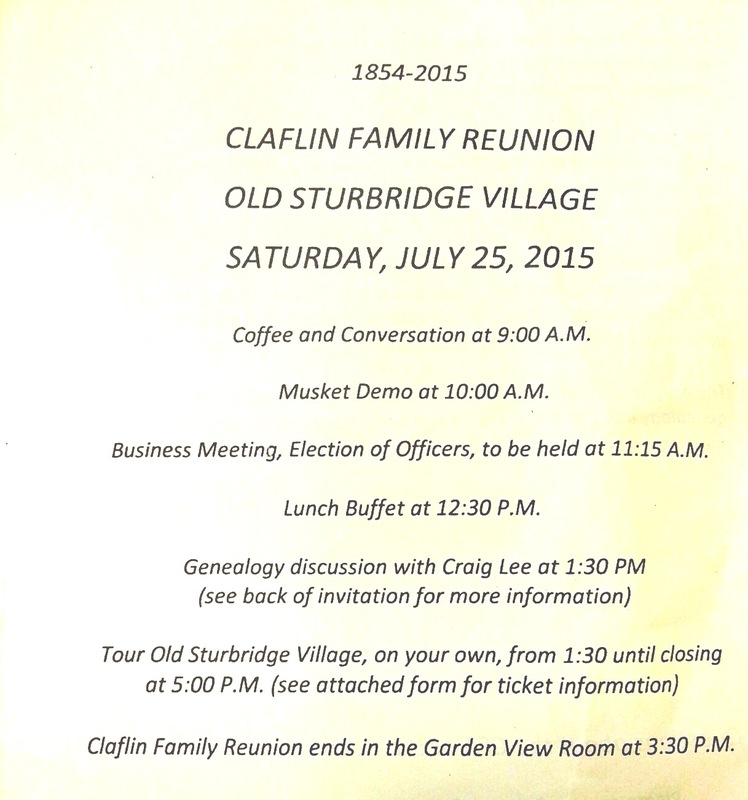 The Claflin Family Reunion 2015 was held at Sturbridge Village, Sturbridge, MA on July 25, 2015. Cousins from all over the U.S. visited and had lunch together before taking walking and carriage tours of the historic village. 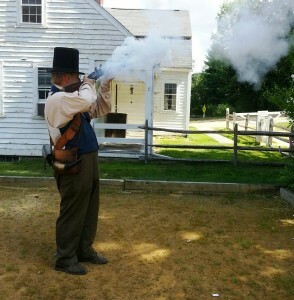 A musket demonstration was provided for our enjoyment. A beautiful day to meander the dirt roads and paths of this recreation of an 1830′s colonial town in America with authentic artifacts and educational displays. 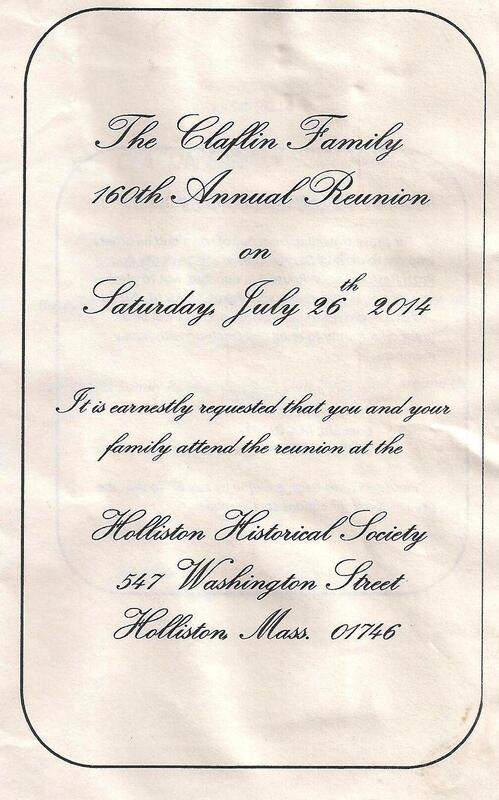 161st Annual Reunion just three weeks away! Plan to join us now. Family members gather on the Holliston, MA Historical Society grounds for a group photo. The beautiful weather and delicious food were appreciated by all. 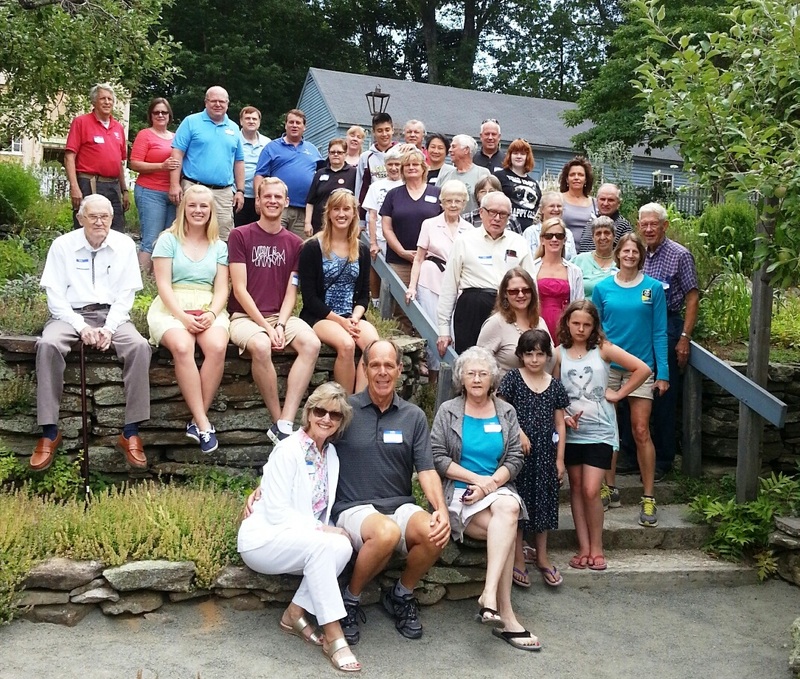 Next year’s Reunion will be July 25, 2015 – location to be announced. 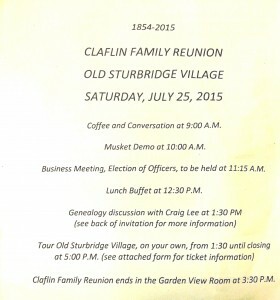 Hope all Claflins are planning to attend the Reunion this year. If arriving early, please consider joining our Friday night, July 25 gathering at the Pappa Razzi Restaurant, 768 Elm Street, Concord, MA 01742 at 7:00 p.m. 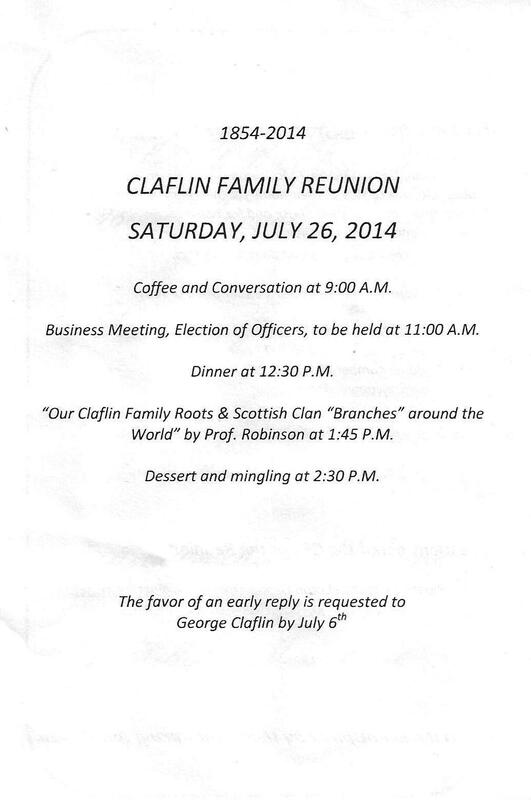 Please let George Claflin know if you are planning to drop by the gathering at claflinfamilyassociation@gmail.com. Claflins from all over will be gathering again for their 160th annual reuion and we want you to join us. Details will be posted soon. 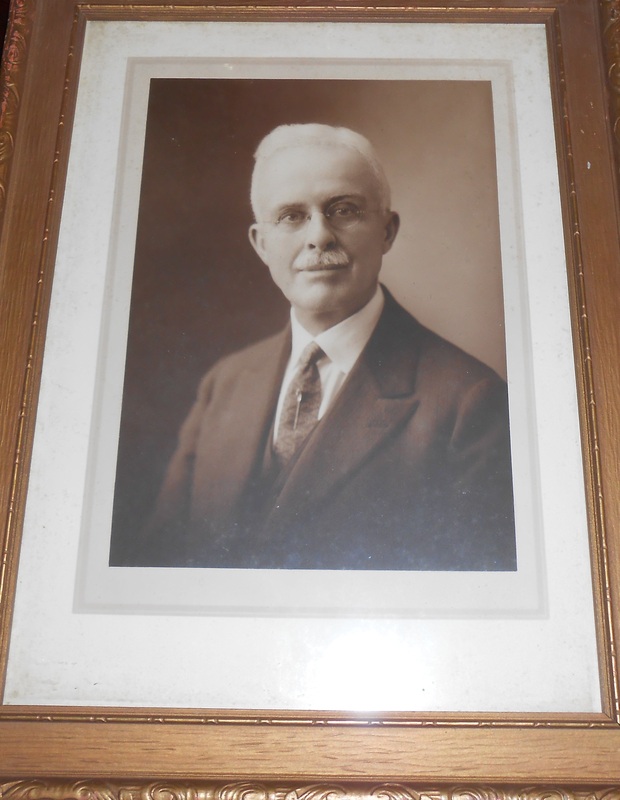 Frank Russell Claflin, who died in 1936, left funds in his will to support the activities of family gatherings which support our Annual Reunion to this day. 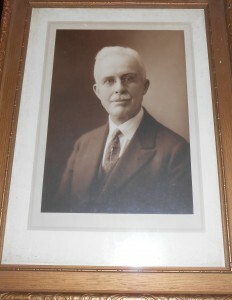 At the 1946 reunion, a long-time Claflin Family secretary, Bertha Summer Draper wrote “this tradition must be kept alive, but in order to do so, we appeal to our younger generation,for when the present officers and friends have gone, the younger members must carry on our work.” This is still so true!